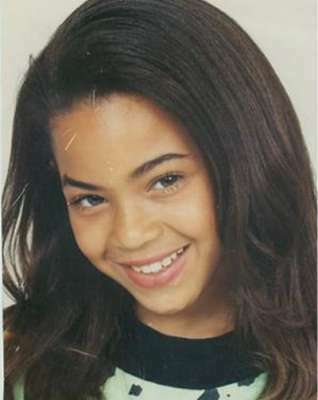 Beyonce when she was young!. Before Beyonce was famous!. Wallpaper and background images in the Beyonce club tagged: beyonce photo. This Beyonce photo contains portrait, headshot, and closeup. OMG!! that doesnt even look like her! She was pretty when she was young and shes pretty now! look just like herself like right now!!!!!!!!! OMG THAT IS MY FRAKKIN ROLE MODEL.. SHE IS SOOO CUTE WHEN SHE WAS LITTLE.... (STILL IS) IN A NON HOMO WAY!!! your so baby face !!!!!!!! She was cute then and she's cute now!! CUTIE!! OMG SHE LOOKS SO BEAUTIFUL!!!!!!!! AWW SHE IS SOOOO CUUUUTTTEEEE!!!! SHES GONNA BE A GREAT MOMMY AND I HOPE THE BABYS GONNA BE A GIRLS!! !1 SO THAT IT'LL BE JUST LIKE HER!!! LOVE YA QUEEN B!